So after thinking about it, I figured I had to buy it. I'm now the proud owner of the tortilla chip that looks like the Gatorade lightning bolt. I purchased it for $3.49, slightly cheaper than the pope hat Doritos chip and the Virgin Mary grilled cheese. I'm not sure what I'm going to do with it, but I certainly won't be eating it. Coach dousing has been taking place for more than two decades, so it's pretty strange that TV cameras still insist on following the players dunk the Gatorade on a coach's head -- not like the people at Gatorade are complaining. But what happened Thursday night, I believe, was actually worth following and ESPN did a good job. 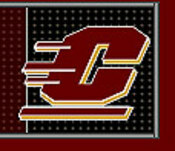 Central Michigan was within seconds of winning their first MAC Championship since 1994. The players wanted to dunk their coach Brian Kelly, but they actually got to the bucket too late. As the players were getting close, the clock actually expired and Kelly started running towards the middle of the field to great opposing coach Frank Solich. Talk about bad clock management! So the players dropped the Gatorade bucket and Kelly never got doused. The ESPN crew replayed the error twice. Because it packs so much sodium, pickle juice has long been considered a good electrolyte replacer. And since it's much weirder than Gatorade, journalists love to write about teams that pick up on the trend. In recent years, pickle companies have started to sell more juice, but now it's out of control. A company called Golden Beverages actually has a drink called Pickle Juice Sport. I kid you not. It's the brain child of a guy named Brandon Brooks, who was inspired to create the invention -- according to the Web site -- after he watched a game in 2000 between the Philadelphia Eagles and the Dallas Cowboys, played in 109 degree heat. The Eagles, who won the game, were drinking pickle juice. It was really the height of the pickle juice craze. The buzz has seemed to die down since then. So it should be interesting to see if this drink gets anywhere. It's lone endorser is Dallas Cowboys tight end Jason Witten, whose team was on the losing end of that game, even though he wasn't a Cowboys player then. Huh? Yeah, we kind of though the guy needed an Eagle too! 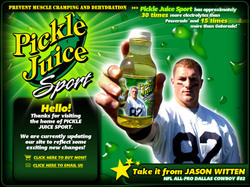 Pickle Juice Sport claims to have 15 times the electrolytes of Gatorade and 30 times the electrolytes of POWERade. At $1.50 per bottle, it's available at 7-11, Valero and Albertson's and will soon be available in Costco. Every time Gatorade strangely peeks it brand into a pop culture or news moment, you know I'm going to be all over it. Well, today I heard that had to briefly close the Lincoln Memorial in Washington D.C. after law enforcement found notes in a nearby bathroom that read, "Do you know what Anthrax is?" and "Do You Know What A Bomb Is?" Sounds like a scavenger hunt gone wrong, but authorities apparently closed the monument after finding a liquid -- later discovered to be remnants of Gatorade -- in the ladies restroom. The memorial was opened less than three hours after it was closed. If you've read this blog before, you know that I've talked plenty about singers and Gatorade. Well, we've now learned that Liza Minnelli is apparently a Gatorade fan. This according to a site called broadwayworld.com, which dutifully recounted her early morning performance this Sunday in Las Vegas at the Luxor Hotel. The reporter noted that when Minnelli took a sip of Gatorade on stage, she told her audience: "It builds up electrolytes and gets all that s*** out of your body." That still doesn't top Elvis, who told a Las Vegas audience, "This is Gatorade. It helps aid your Gator." 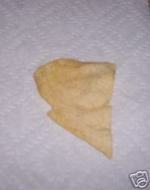 One of the best auctions I've ever seen is the man who auctioned off his Doritos chip that looked like the pope's hat. He sold it in March of last year for $1,209 to Golden Palace, which buys every weird auction item. I give a lot of credit to the guy and his web site www.popehatchip.com. Make sure to put your volume up, he wrote a pope hat chip song to The Love Boat melody. Here's his auction description: "This is an auction for a chip from Taco Bell it looks like the Gatorade lightning bolt symbol!!!!!! I found it just like this!!!! I need some money for the holidays!!!! The auction ends this weekend and can be had right now for $3.49 including shipping. If you want to place a bid, click here. NBA: Gatorade Deal In Jeopardy? Gatorade has been a league sponsor of the NBA for more than two decades, but earlier this week, I was shocked to see that the NBA Players Union -- apparently without consulting the NBA -- signed a deal with EAS. 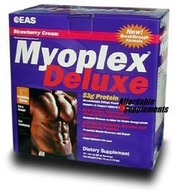 The deal calls for the brand owned by Abbott Labs to provide NBA teams with $5,000 worth of product and give players 50 percent discounts on its energy bars and protein drinks. The energy bars doesn't really matter because the Gatorade energy bar is a total non-factor. But the shakes -- that is a big deal. Unbeknownst to much of the public, Gatorade does actually have protein shakes. It's part of Gatorade's niche line, Performance Series. Gatorade Nutrition Shakes -- which taste great, by the way -- have 20 grams of protein per can and are meant to be consumed after workouts for muscle recovery. You don't see the shakes on the sidelines, but I still think it's important to have these types of drinks in front of the athletes. You can imagine what a fit the folks at Gatorade had when they found out the union did this deal. Despite the small deal, don't expect these things to come near an NBA locker room in an official capacity any time in the near future. Gatorade -- which has spent millions on its relationship with the league -- will insist on ruling that space and they will get what they want. The only thing they don't get? POWERade LeBron is never drinking out of their water bottle or using their logoed towels. The Gatorade Sports Science Institute (GSSI) has its latest study out, suggesting that dehydration can impair a basketball player's performance. According to research with Penn State professors, two percent dehydration can lead to as much as a six percent decrease in shooting percentage. "The findings from this research suggest that hydration can be a real competitive edge for those players and teams who are able to employ an effective hydration strategy," said Larry Kenney, the study's lead researcher. So what does a six percent decrease in shooting percentage mean -- they say 14 less points, which exceeds the NBA average per point differentiatial (10.43 points per game). So it seems that they are claiming that dehydration essentially could be the difference between winning and losing. If that's true, someone should come up with some intravenous needle that automatically hydrates athletes as they get dehydrated. I was reading Advertising Age's Marketing 50 Awards, a list of the top 50 marketers of the year. The publication gave a well-deserved nod to Gatorade's chief marketing officer Cindy Alston. As a business reporter, I've talked to many executives and Cindy is really at the top of the game. The magazine gives Alston the credit for launching the lighter tasting Rain -- a line that, as you might know, I'm not the greatest fan of -- but also provided a great insight: PepsiCo's Gatorade could soon take out Coca-Cola's Sprite. Apparently Sprite the No. 5 beverage brand and Gatorade currently stands at No. 6. What's very interesting about this is the fact that years ago a marketing firm gave Gatorade the first dibs on the slogan, "Obey Your Thirst." 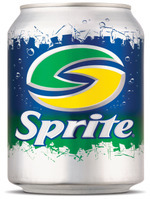 Gatorade of course turned it down and it became Sprite's slogan, while Gatorade took up "Is It In You?"